Although ridesharing and carpooling are hardly new concepts, the modern digital platforms that allow users to summon an affordable ride from (and to) just about anywhere have certainly caused a surge in popularity for the old-school concept. Together with its main US competitor, Lyft, the ridesharing platform Uber has started to transform how millions of people around the world travel. In fact, the service has become so ingrained in our lives that Uber even launched its very own credit card. But is the Uber Credit Card actually your best bet for rewards on every trip? Oddly enough, the answer is: not really. As you might suspect, the top five best credit cards for earning rewards on Uber rides are those that offer bonus rewards for specific purchases (usually travel). While the Uber Credit Card did make the cut, it’s definitely not at the top of the list. The Chase Sapphire Reserve® card tops the list thanks to its 3X points per $1 spent on travel, which includes Uber and Lyft (and many other similar services). Since Ultimate Rewards® points have an estimated value of 2.7¢ each, that could mean around a 6% return rate. Second place belongs to the Citi Premier Card, which offers 3X points per dollar on travel purchases, and includes Uber and Lyft — “taxis/limousines/car services” — among its eligible travel merchants. At a PointsGuy valuation of 1.7¢ a piece, that means you’ll see an approximate 5% return. ThankYou Points can be redeemed for a variety of things, but generally offer the best value when redeemed for free flights through the ThankYou® Travel Center. Essentially the less-expensive sibling of the Chase Sapphire Reserve®, the Chase Sapphire Preferred® Card card has a much lower APR but also only offers 2X points per dollar for travel purchases. By the numbers, that’s about a 4% return at current valuations. Although the Chase Freedom® doesn’t offer year-round rideshare savings, it does sometimes offer “Local Commuter Transportation” as a bonus category, which includes Uber and Lyft, among others. Since you can earn 5% cash back during active quarters (on up to $1,500 in bonus purchases), this card certainly makes the top five — at least part of the year. The Uber Visa Card is a co-branded credit card issued by Barclays. Sadly, the card only offers 2% cash back for Uber ride purchases. 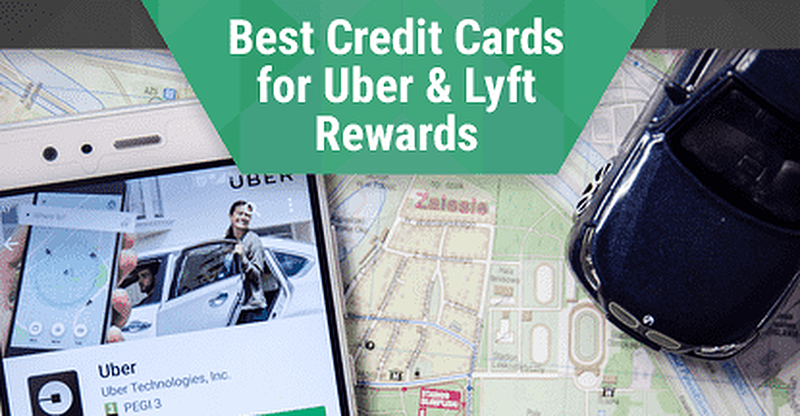 On the other hand, the card has no annual fee — unlike most of the others in the top five — and you can redeem your rewards for Uber credits, which may be useful for regular Uber users. Although the Uber rewards rate isn’t the highest rate you can find, the card does provide a good cash back rate for dining purchases, as well as a competitive rate on hotel, airfare, and online purchases. Outside of the handful of cards that offer bonus category rewards for Uber and other ridesharing purchases, your best bet for earning rewards for every ride is a general unlimited rewards card. Not only will these cards earn you miles or cash back on Uber and Lyft purchases, but they’ll earn the same rates on all other eligible card purchases, too. The Capital One® Venture® Rewards Credit Card offers 2X miles per $1 on all purchases, and those miles can be redeemed toward any eligible travel purchase — including most ridesharing platforms — effectively giving you a 2% return on Uber & Lyft purchases. As the name suggests, the Chase Freedom Unlimited® offers unlimited cash back rewards at a flat 1.5% rate for every card purchase, including Uber and Lyft. You can redeem for cash back, or turn your rewards into points if you have a card that earns Ultimate Rewards® points. 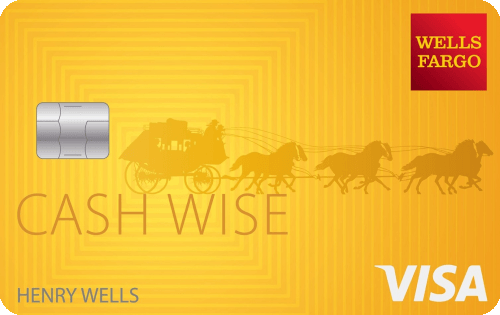 Though it technically offers 2% cash back, the Citi® Double Cash Card has a somewhat unorthodox rewards program. Cardholders earn 1% cash back when they make a purchase but don’t earn the other 1% cash back until they pay off their balance. While a number of business credit cards offer bonus rewards for airline and hotel purchases, few business cards (read: only one) have a bonus rewards travel category broad enough to include ridesharing platforms. As the only card with an all-encompassing bonus rewards category for travel purchases, the Ink Business Preferred℠ Credit Card is easily the best business card for ridesharing services, offering 3X Ultimate Rewards® points per $1 for things like Uber and Lyft. When you can’t get bonus rewards on purchases, the next best thing is a high unlimited rewards rate, like the unlimited 2% cash back cardholders can earn with the Capital One® Spark® Cash for Business. As with its cash back cousin, the Capital One® Spark® Miles for Business offers unlimited rewards on every purchase, no categories required. Instead of cash back, however, you’ll earn miles that can be redeemed for statement credits on eligible travel purchases. The Visa Local Offers program won’t earn you rewards on your Uber rides directly. Instead, you can earn Uber credits for using your connected Visa credit card to make purchases at participating merchants. Perhaps the best part is that you can still earn rewards on your merchant purchases with the right Visa card, so you can earn rewards and Uber credits — all in one swipe. Only the Visa credit card on file with your Uber account can earn Uber credits through the program and Uber users can sign up directly from the Uber app. The program includes more than 5,000 merchants, including a range of national restaurants and retailers as well as hundreds of local businesses. Love it or hate it, the sharing economy is only growing in momentum as more and more people turn to their peers for everything from loans to car rides. In fact, Uber alone has provided over 5 billion shared rides worldwide — and shows little sign of slowing down. If you’re one of the millions of people who Uber more than they drive, a credit card offering Uber rewards can be a big boon to your budget. Of course, always remember that no amount of rewards will make up for high interest fees; pay off your rides before they start accruing interest to ensure your rewards actually pay off.